Ladies, let's chat about sisterhood. Guys, feel free to share this chitchat with anyone raising and empowering our future generations of fabulous females. Growing up, I had an older cousin that was pretty much like a big sister to me since I was the big sister in our home. 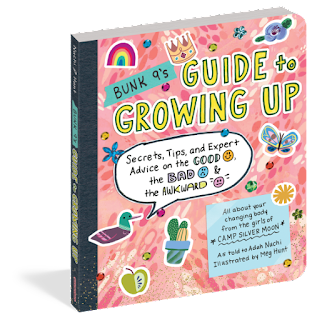 Well the talented and witty girls of Camp Silver Moon, are offering young ladies trusted info in Bunk 9's Guide to Growing Up - Secrets, Tips, and Expert Advice on the Good, the Bad, and the Awkward. 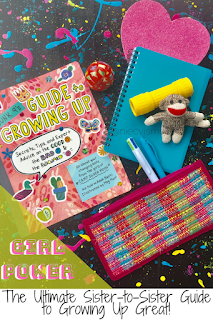 Behold, girl power manifests the ultimate adolescence resource, a sister-to-sister empowerment guide to growing up great. Thank you to Adah Nuchi and her promotional team for the courtesy of providing an advanced reader copy for editorial content purposes. "Narrated by the older-sister figures every girl wishes she had, Bunk 9’s Guide to Growing Up takes an innovative approach to answering age-old questions about puberty. Vetted by a pediatrician, this is the first guide to not only surviving but also owning all the firsts that come with adolescence, written to help girls and their parents get through it with confidence." Celebrating girlhood along with all of the ways teen and tween girls begin their transformation into becoming young women, fictional Camp Silver Moons Bunk 9's sisterhood- Emma R., Jenna, Brianna, Grace, Emma L., Sage, Abby, Lea, and Makayla combined their super-talents into a powerful wellness resource "all about your changing body". Each of the girls contributed their unique voice to the collective narrative as told to author Adah Nuchi with Dr. Meryl Newman-Cedar, as Medical Consultant. Resembling a personalized composition notebook, I personally adored (except for in Algebra class) since my coming-of-age days, Guide to Growing Up is conversationally written, brilliantly illustrated, and most importantly thoroughly researched. Overflowing with real-life tips and practical advice, "this book is meant to be used as an additional resource and should not replace the guidance of or treatment by a doctor or other health care professional". Weekly topics provide a well-rounded wealth of knowledge offering the perspective of the nine 12 year-old ladies of Bunk 9. Be warned that all who read this book are forewarned- "Guard this book with your life and use its secretes wisely". Geared towards ages 8-12, this book is intended to inform those needing to understand, guide those helping to educate and to be shared with those friends preparing to become a soon-to-be member of the Silver Moon Sisterhood AKA Womanhood. 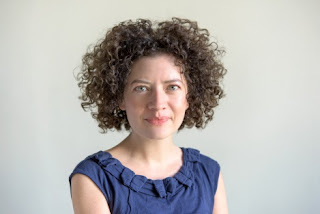 Creatively penned by author, Adah Nuchi who grew up in New York City and spent her summers at camp, where she learned (almost) everything she needed to know about being a woman. She worked for many years as a children’'s book editor, and now divides her time between writing and going on adventures, which mostly occur on the beach. 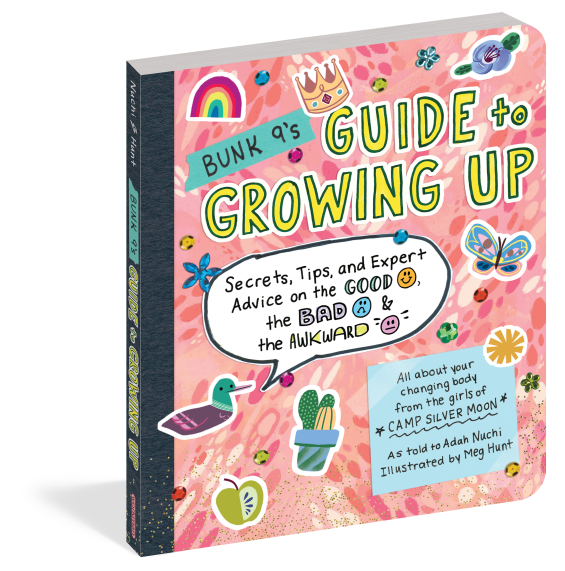 Bunk 9's Gide to Growing Up Secrets, Tips, and Expert Advice on the Good, the Bad, and the Awkward is available from Amazon (affiliate) and select retailers. As the owner of this blog, niecyisms by Creative Learning Center Studios, I am compensated to provide my opinion on products, services, websites and various other topics. This blog may contain affiliate links. Even though, as the writer/owner of this blog receiving compensation for posts or advertisements, I will always give my honest opinions, findings, beliefs or experiences on those topics or products. This blog abides by word of mouth marketing standards. I believe in the honesty of relationship, opinion and identity. The views and opinions expressed on this blog are purely my own. Any product claim, statistic, quote or other representation about a product or service should be verified with the manufacturer, provider or party in question.